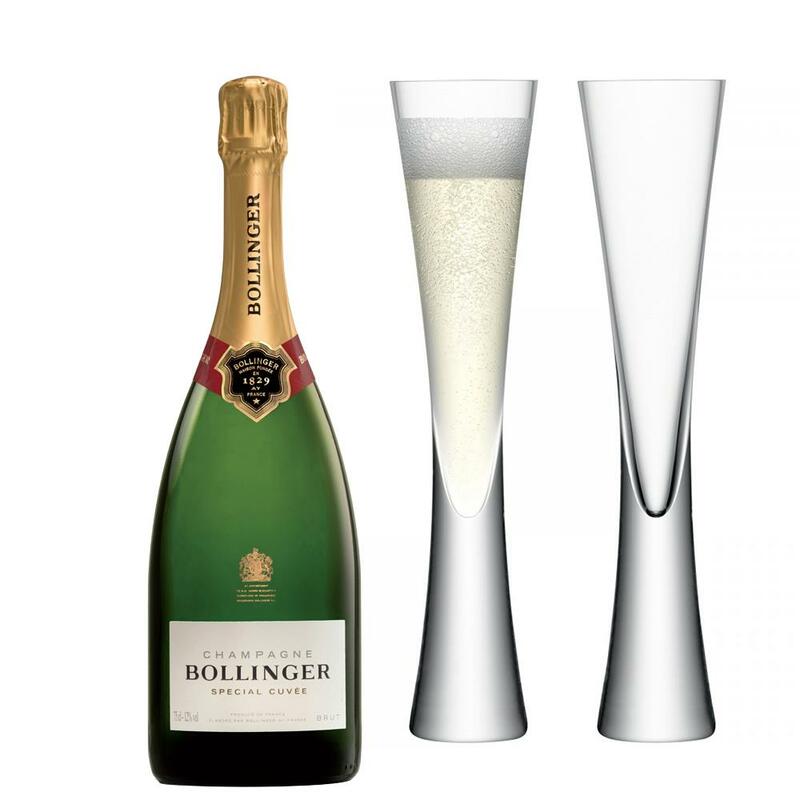 A bottle of Bollinger Special Cuvee, Champagne 75cl packed with 2 LSA Moya Flutes. All glassware by LSA is handmade mouth blown glass, with world-renowned glassware collections. Special Cuvée is the result of the delicate blending between harvest grapes and a majority of reserve wines, part of which have been aged in magnums for 5 to 15 years. Blend: 60% Pinot Noir, 25% Chardonnay, 15% Meunier. This product is hand packed onsite by Champers Direct, and is not affiliated with any other brand. Champers Direct is responsible for this product combination/set.